This product is a tag to attach to goldfish crackers. 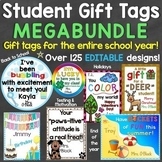 There are tags to use with kindergarten to fifth grade. Just print, cut, and attach to a bag of goldfish crackers. 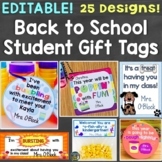 You can use these for open house, first day of school, or last day of school. These were created to attach to baggies of goldfish crackers to hand out at Open House! There are two wording options for you to choose from! 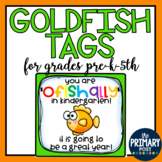 "You are "o-fish-ally" in Pre-K Goldfish Tag Simply print on Avery Labels -- 8163 and adhere to goldfish snack crackers! 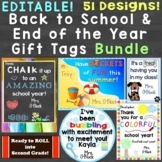 Great for "Meet the Teacher" night, orientation, or the first day of school! Need a cute tag for a fun and easy snack to go with Pete the Cat? 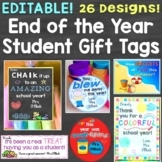 Download this freebie, cut it out, staple it to a bag of Goldfish, and enjoy! Yum! Visit this site to learn more!! 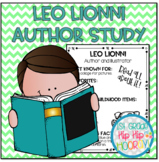 Visit this site for an exciting Author Bundle...SAVE Leo Lionni has created several amazing picture books for children. Kiddos as well as adults LOVE reading his stories and exploring his illustrations. 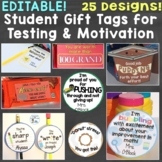 This packet is perfect for sharing his EXTRAORDINARY efforts. 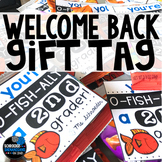 Welcome students to your classroom with a bag of goldfish and the tag "You're o'fishally in ____ grade." Simple print, cut, and adhere to the bag and you are set to go! 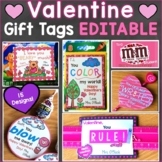 Tags for Kindergarten through Third grade are included. 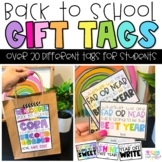 These student gift tags for back to school can be added to a goldfish or swedish fish treats for a great back to school welcome treat or gift for your new students! 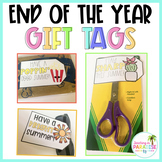 There are tags for incoming pre-k, Kindergartners, first graders, second graders, third graders, fourth graders, and fifth graders!